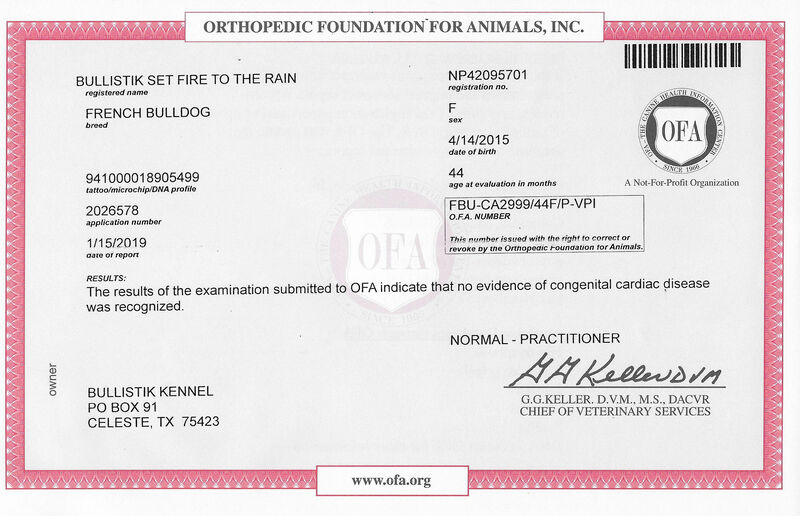 Rain is our Black Mask, Red Pied daughter of Olympia and Burner. 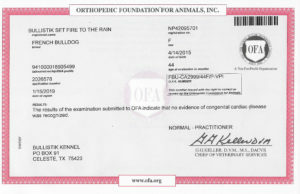 And, as are all of the girls & boys in our breeding program, Rain has been health tested. 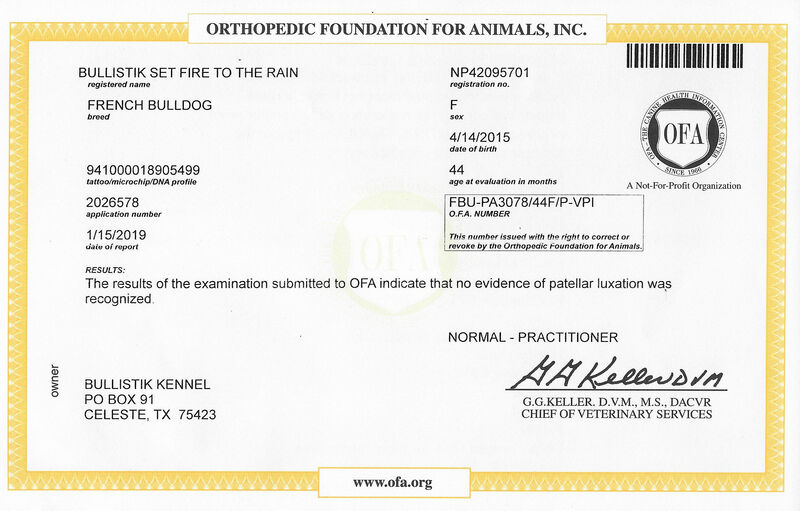 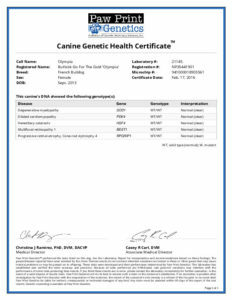 So, doing what we do, we are making her results public, and have added Rain’s Health Certification page to our site. 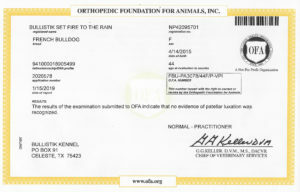 Below are copies of her Reports and/or dams reports. 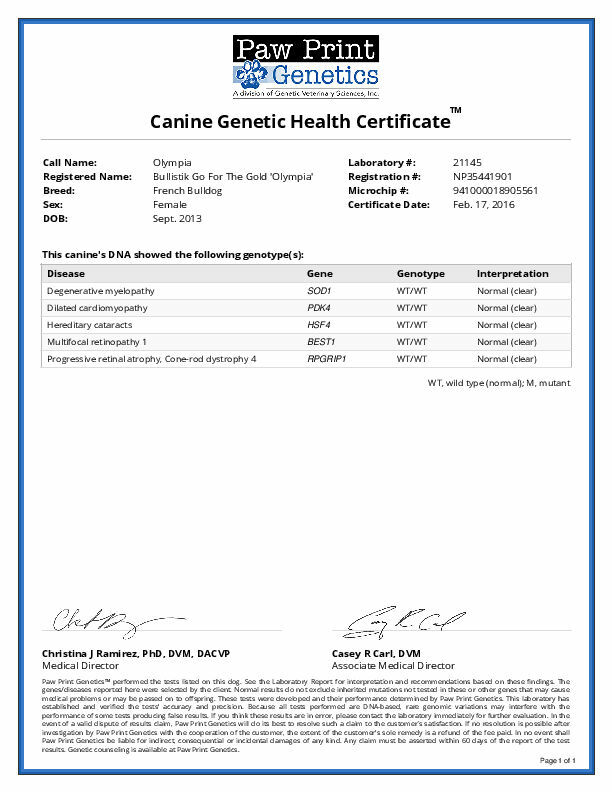 Because Rain’s dam, Olympia is CLEAR/NORMAL for the following canine diseases, Rain is automatically UNAFFECTED, as all of these diseases are recessive (dog must have inherited 2 copies of the disease, one from each parent, to be affected).